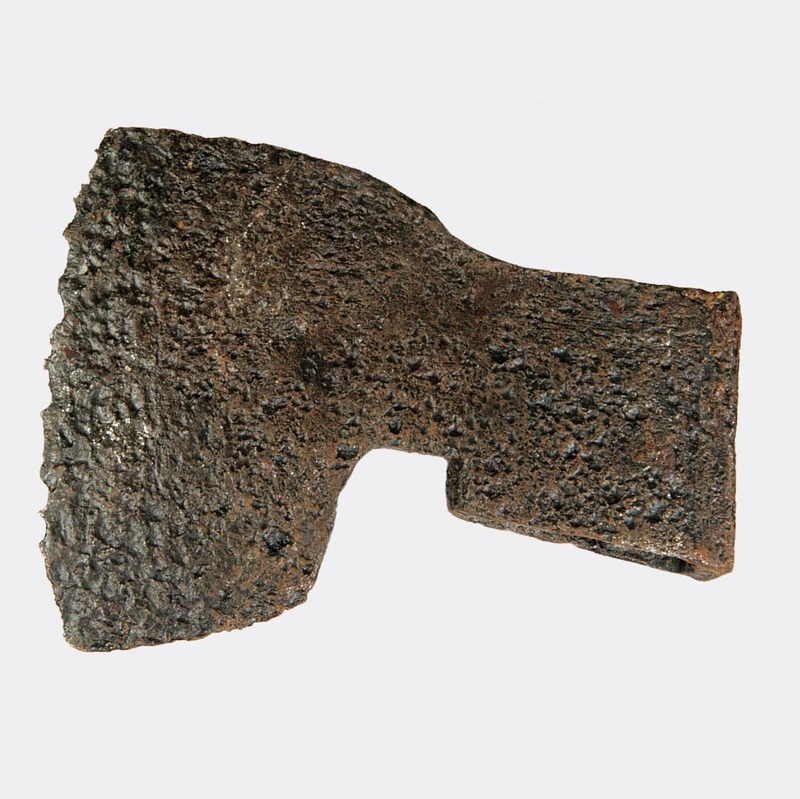 An iron axe head with a hollow shaft and a round maker’s mark on one side of the blade. 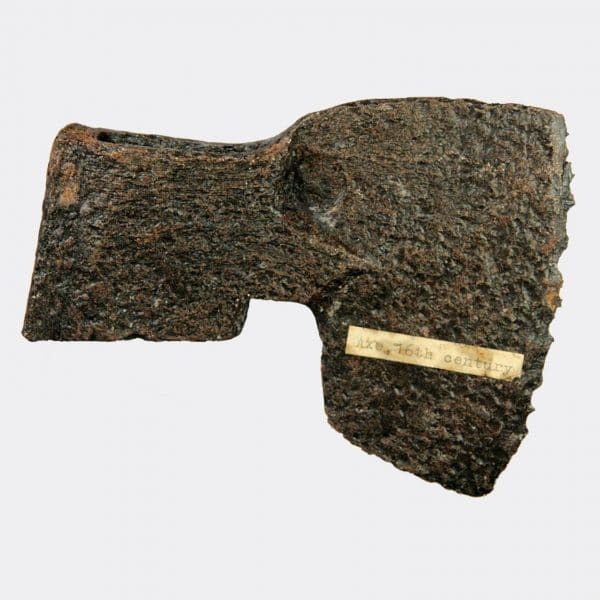 Similar axe heads have been recovered from the Ottoman invasions at Buda in Hungary. Ex. 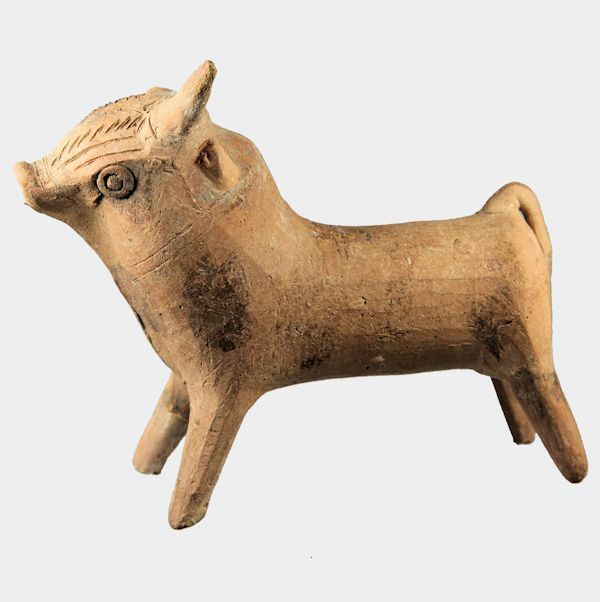 private collection, Penkridge, Staffordshire, UK; acquired mid to late 20th Century. Typewritten label on one side: “axe, 16th Century”.